Los Angeles, CA – October 24, 2016 – There’s no better way to bring awareness to rescue pets and promote adoption than to create unique and entertaining videos for the world to see. BarkVilleTV officially launched its YouTube channel worldwide on October 19th and pet lovers everywhere are tuning in and subscribing to this fun and inspirational web series. 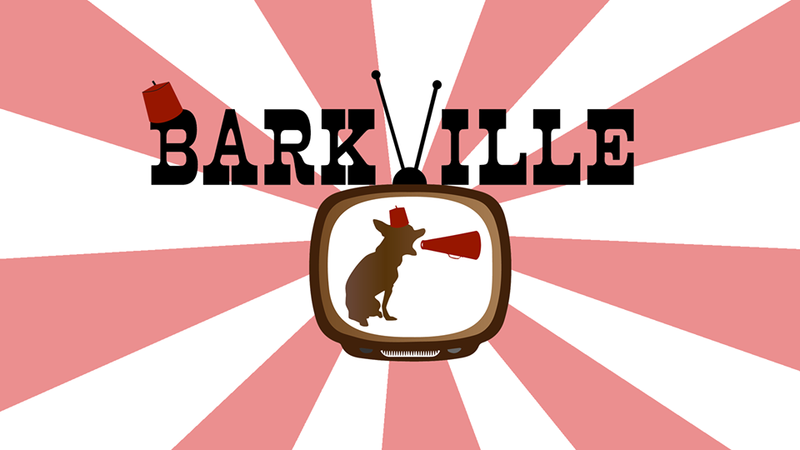 Subscribe to BarkVilleTV. BarkvilleTV’s YouTube channel stars everyone’s best friend. With a mission to inspire adoptions and animal rescues, BarkvilleTV produces zany and original canine programming. In short, BarkvilleTV.com will be the #1 place on the web for canine-centric content! PUP CULTURE – Starring The Barkville Players (rescue doggies, of course), in hilarious parodies from iconic movies, TV shows and music videos. DOGUMENTARY – Heartwarming short documentary films about rescue dogs and everything else pooch-related. DOGGIE TREATS ­ Delightfully quirky, doggie animated shorts. Founded by director/actress Olivia Barash, BarkvilleTV is the only channel created not just to entertain, but to help save dogs in danger. Founded by director and actress Olivia Barash, BarkvilleTV is the only channel created not just to entertain, but to help save dogs in danger. BarkvilleTV gives a portion of all proceeds to animal rescue organizations to support dog adoptions. You don’t have to be a dog lover to love BarkvilleTV (but you may become one)! This entry was posted in News and tagged Barkville Players, BarkVilleTV, Olivia Barash, YouTube channel on October 25, 2016 by Dana Humphrey.